What a special day for a special boy. We LOVE James! He could live with us and I'd be happy. The tie is so sweet, I got tears in my eyes whenever I saw it. I could feel your dad there that day, what a special day. Jimmy, you look as handsome as Grandpa Jim in that tie. 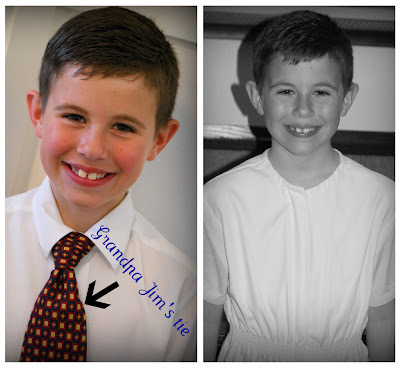 It would be an honor for MY grandsons to wear Jim's tie!!!! James is so cute........he's beaming!!! That last comment was posted by me, Aunt Marilyn. I can't figure out why it says Anonymous? He is so handsome. What a very special day! So sweet! I am so glad I was able to teach CTR 5...and I will always love your little boy because of it! Congrats James! You are awesome! Congratulations on his special day. 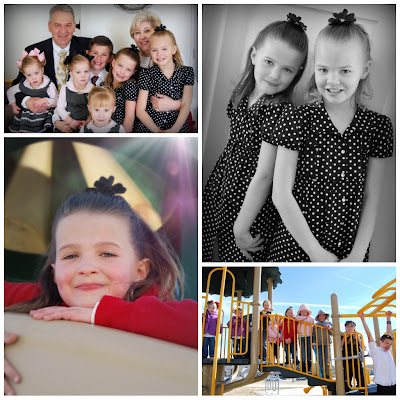 Family is so special. I am glad you were surrounded by yours. I was going to let you know, we went private with our blog. My email is carissapugmire@hotmail.com email me so I can send you an invite! What a handsome guy!!! I can't believe little James is baptism age!!! Congrats James! James is such a great kid. We were so happy that we could be there. Love your families guts!